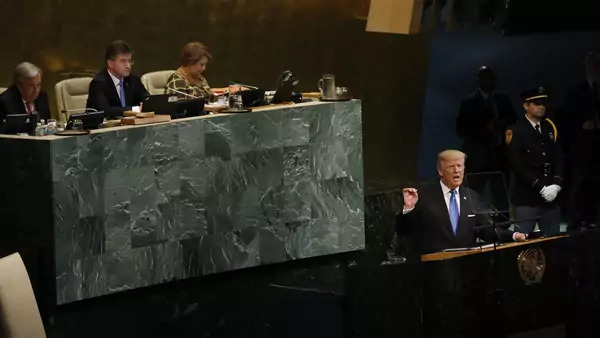 Last Tuesday, President Donald J. Trump took his message of America First to the world stage, as he addressed the United Nations General Assembly for the first time. His invective against Iran and North Korea, the latter which he threatened to totally destroy, understandably garnered the most attention. These remarks stood in marked contrast to the proposed federal budget the president unveiled earlier this year. It outlined drastic cuts in U.S. contributions to UN agencies, to be achieved through a combination of slashing the budgets of international organizations, negotiating reduced U.S. assessment rates, or simply not paying the agreed U.S. assessments. Luckily, Congress is likely to keep most UN funding in place, sparing the United States a self-inflicted wound. That Trump acknowledged the value of U.S. contributions to the UN in his UNGA speech—echoing earlier comments where he called the UN budget “peanuts”—suggests that for the moment he may be prepared to tolerate more UN funding than his budget envisions. So, how important is U.S. support to the United Nations? According to new figures prepared by the Council on Foreign Relations, the United States remained the largest donor to the United Nations in 2016, contributing over $10 billion to its work. And while Trump raised eyebrows with his comment that the United States pays “far more than anybody realizes,” he does have a point. The UN budget process is complex. It involves scores of different agencies, some funded by assessments and others by voluntary contributions, making it difficult to comprehensively assess what each country pays to support the UN’s wide-ranging work. For instance, the United States contribution to UN peacekeeping, which amounted to $2.4 billion in 2016, is calculated through a complicated formula that considers gross national income, population, and U.S. permanent membership on the Security Council. In contrast, the $2 billion that the United States provided to the World Food Program in 2016 was a purely voluntary contribution. Moreover, the various bodies within the United Nations, depend on U.S. support in different degrees: The United States contributed nearly 40 percent of the budget for the UN refugee agency last year, but only 4.5 percent of UN WOMEN’s total revenue. Fortunately, the Council on Foreign Relations has helped to clarify matters with a detailed breakdown of U.S. contributions to the United Nations. While it will not eliminate disagreements over the appropriate scale of U.S. support, it at least provides a common point of departure for lively debates. You can find the analysis at Funding the United Nations: What Impact Do U.S. Contributions Have on UN Agencies and Programs?